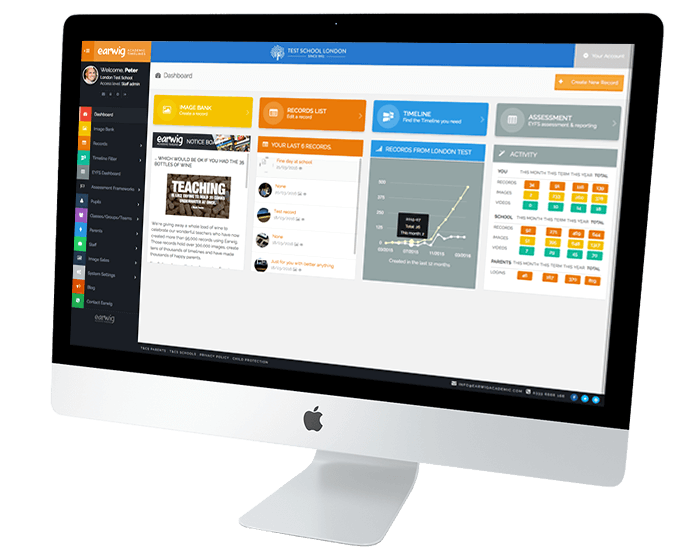 A software package designed by clever teachers to turn the whole business of providing teaching evidence, making assessments, tracking progress and reporting into a pleasure rather than a chore. EARWIG CLASSIC for schools that want to capture magic moments engage parents and stay organised. EARWIG ASSESSMENT for schools that want a simple tool to speed up assessment, tracking and reporting. EARWIG PORTFOLIO for secondary schools that want students to evidence and present progress in non-core subjects. 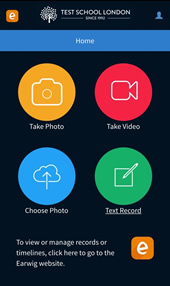 Records evidence easily, organises it quickly and presents it vividly. Celebrates pupil achievement in a structured way and ensures that you are always 'Ofsted ready'. 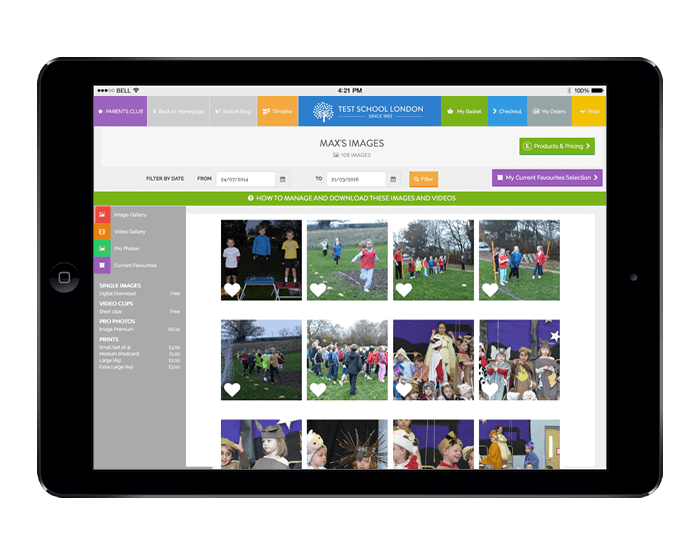 Deals with your documents, images, videos and is synchronised with your school database, so you can produce vivid timelines for any class, subject, cohort or individual pupil. 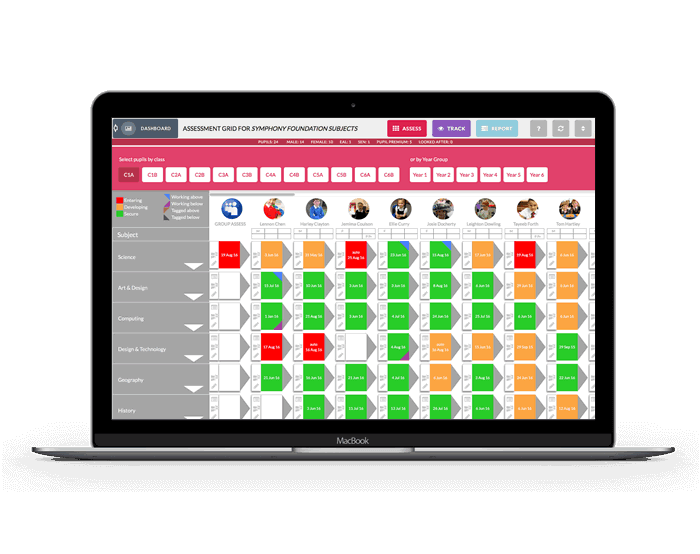 Takes any assessment regime and makes it quick and easy to use. Automatically tracks and illustrates progress against subject, subject area or statement through the year and across years. One package does the whole job elegantly and easily, right through the school, from early years to university. So only one package to buy and only one system for teachers to learn. Training and individual support included. 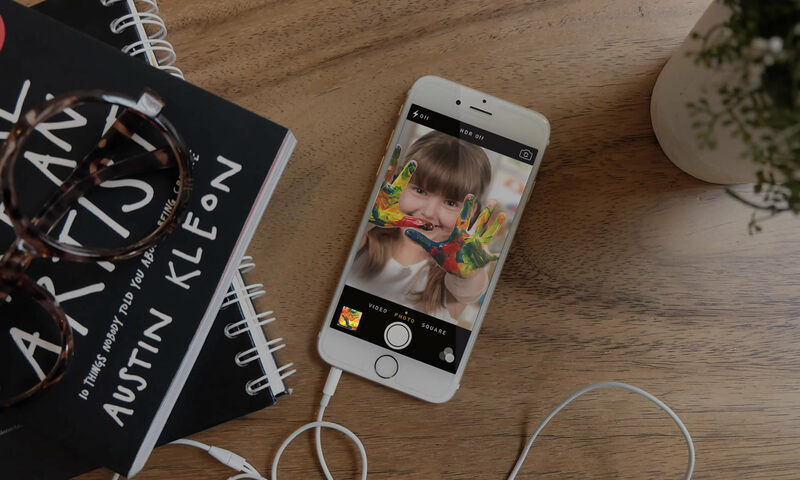 Students use the Earwig app to create their own work portfolios, presented as a timeline for individual subjects, classes or projects. 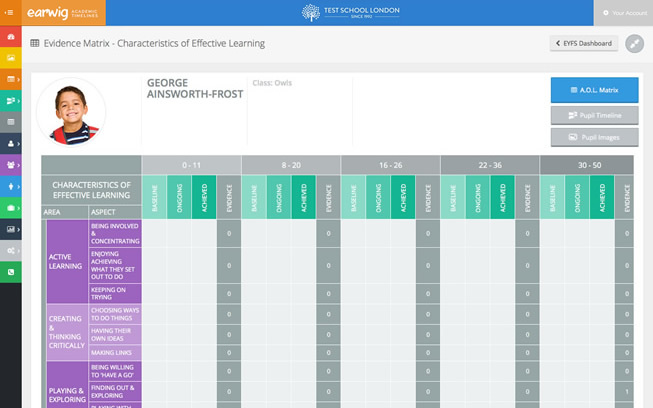 Teachers monitor these online and record interventions, marks and advice. 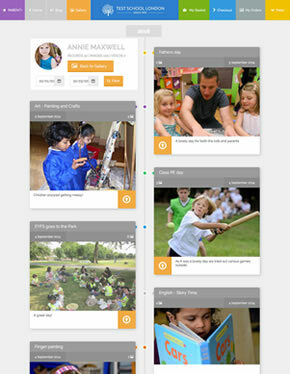 Each timeline illustrates progress engagingly for pupils, staff and parents and provides an invaluable, permanent record of academic for specific periods or over an entire school or university course. 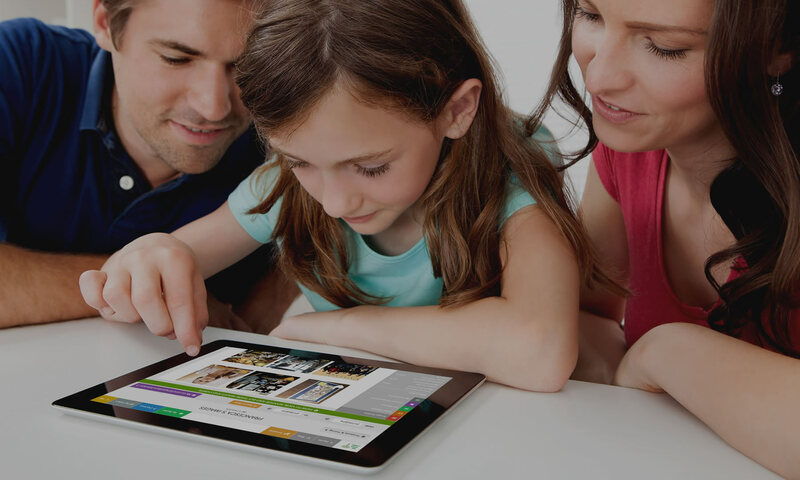 Each Earwig parent gets a secure login and a wonderful, free, ever-growing record of their child’s school life. After-school conversations become much more interesting and productive. Parents are delighted to be so informed and are consequently more supportive of the school in other ways. Have you decided what assessment framework you’re going to measure pupil performance with in the next few years? 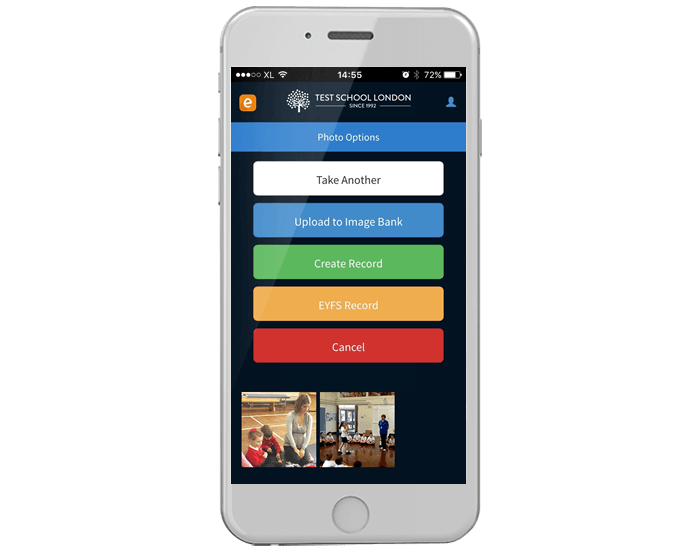 If you have then what you need is a neat software package and app that allows your staff to do the whole evidence management, assessment, tracking and reporting job in one go, using the same login and process right through from early years to secondary. 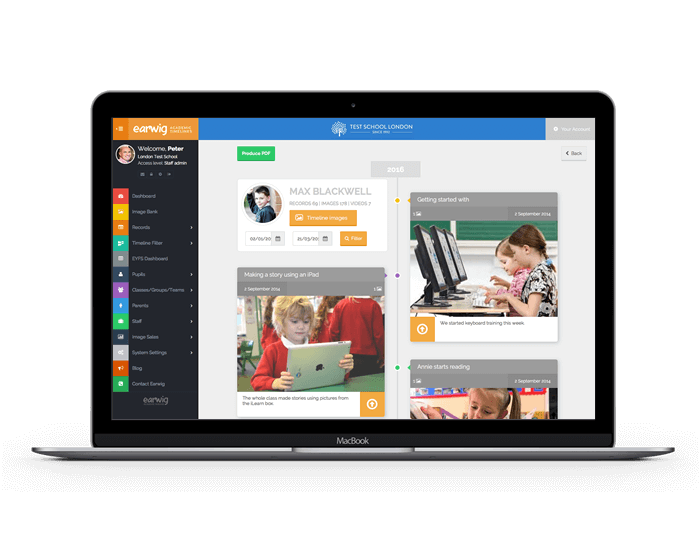 Our schools say that this suite saves their teachers as much as 50% of the time they were previously spending on assessment, evidence management and producing reports – and, of course, everything is presented elegantly and with that little bit of class. It’s got to be worth a look. Special needs assessment has taken on a new dimension with the publication of the Rochford Review. Instead using the ‘one size fits all’ P-Scales to measure the progress of children with SEND, particularly those with multiple difficulties, schools will be required to draw up a set of training and objectives particular to each child and make assessments against these. The starting point for this exercise will usually be the pupil’s Education Health and Care Plan. 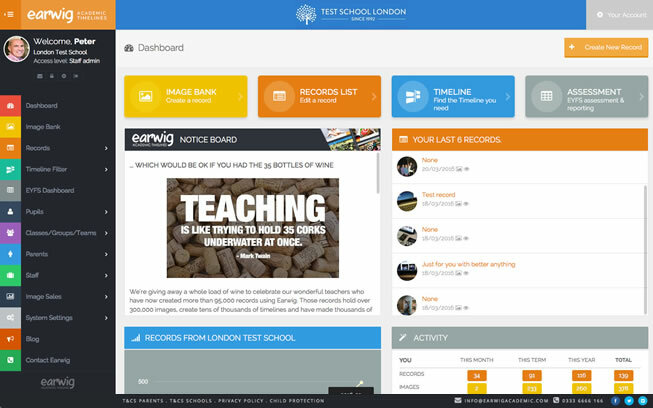 Earwig have been working with several leading special schools and with members of the Rochford panel to produce a simple software package which enables teachers to create the these individualised teaching plans easily and quickly, make assessments as they go along and then produce meaningful progress reports and charts with a couple of clicks. Click the button and the hit ‘SEN’ to see a video which will explain more. Several Earwig schools have had no-notice Ofsted inspections recently. Each of them has commented on how much more relaxed staff are, knowing that they can show the performance, over time, of each class, subject, project or child, at the click of a mouse. Each inspector has commented favourably about the Earwig presentation and, while we can’t prove the connection, we have even had a couple of Earwig schools upgraded after inspection. WITH SCHOOL IMAGES, SAFEGUARDING IS PARAMOUNT. EARWIG WILL IMPROVE YOUR SCHOOL IMAGE SECURITY CONSIDERABLY.find out more.